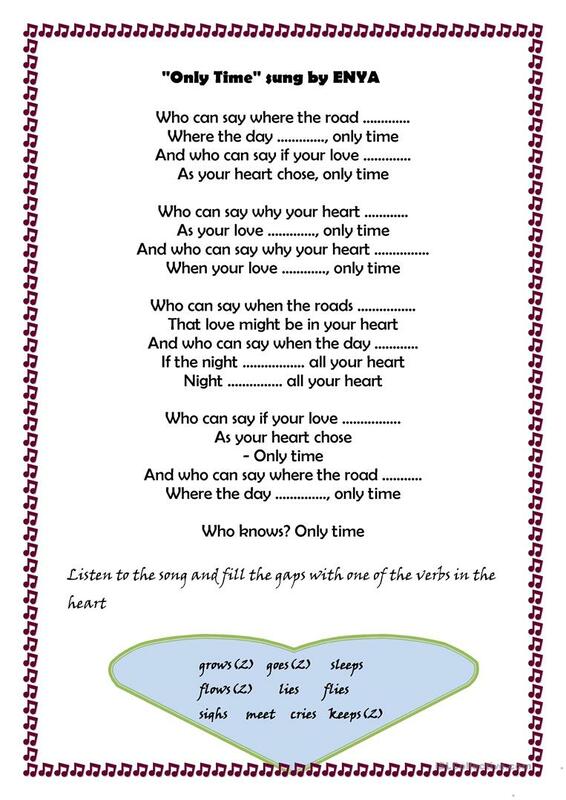 a song that we can use after teaching present simple tense.the song isn't so fast ,tus the students ca understand easily.I hope you like it. The present downloadable worksheet is meant for high school students and elementary school students at Elementary (A1) and Pre-intermediate (A2) level. It is a useful material for practising Present simple tense in English, and is useful for strengthening your learners' Listening skills. dryzcn is from/lives in Turkey and has been a member of iSLCollective since 2012-01-11 13:35:26. dryzcn last logged in on 2018-02-17 21:07:52, and has shared 5 resources on iSLCollective so far.